We spotted some new coupons today for Royale! These are available via the Walmart coupon portal below! Save $1 any Royale Velour 30-80 roll or larger and any Royale Tiger Towel 12 pack or larger (please note you need to buy boh at the same time). 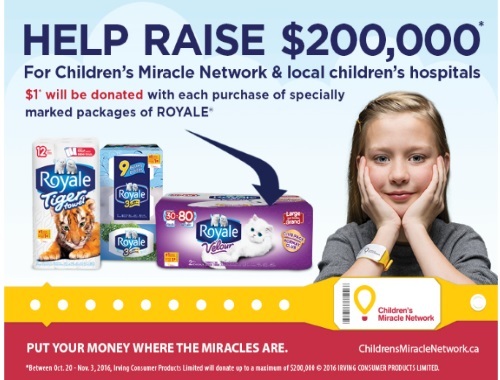 Also when you purchase specially marked Royale Products at Walmart, $1 will be donated to Children’s Miracle Network & local children’s hospitals! These are available via mail! Claim yours while quantities last!